Is your furnace malfunctioning? Never fear HomePro Heating & Cooling is here to help with AC repair in Avon, IN, and the surrounding areas. When the cold comes creeping into your home, it’s amazing to watch it vanish at the flip of a single switch! That feeling of warmth your furnace brings into your home is most likely invaluable to you and your family. 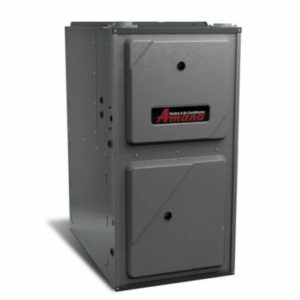 That is why you should be proactive when it comes to finding a contractor you can trust to handle emergency furnace repair in Avon, IN, and the surrounding areas. Think about it. How terrible would it be if you had to endure a particularly cold day because your furnace is not heating your home? It would be horrible. The good news is that HomePro Heating & Cooling are here to help ensure that something like that does not happen to you this winter. The reason why repairs are unavoidable is none other than wear and tear. Unfortunately, there is no way to completely remove the harm that wear and tear have on your unit, although, maintenance does help. There is a lack of air coming through the ducts throughout your home. The thermostat is not reaching desired temperature. The unit seems to be far louder than it was originally. Of course, there are tons of warning signs. But at the end of the day, if you do notice your furnace giving problems, we recommend getting in touch with a technician as soon as you can. Leaving problems to manifest will only result in more expensive issues down the road. The difficult part behind AC repair in Plainfield, IN is not the repairs per se. But rather the process of finding a contractor that you can trust to handle the task at hand. The HVAC market is saturated with underperforming, and under qualified contractors, which is why it is important to do your due diligence before you decide on which contractor is best suitable for your home. At HomePro Heating & Cooling, we believe in our services and quality workmanship. After all, our mission is to bring affordable comfort into your home for the long run. Our NATE certified technicians essentially guarantee our quality workmanship from the get go. Would you like to get our expert technicians in to inspect your furnace? We would love to help. All you need to do is reach out to our Contact Us page. Otherwise, feel free to call us at 317-271-2665. Let our friendly support staff know what you need. From there, they will help you set up an appointment with our team at a time that is convenient for you.